This week’s featured artist, Ana Campos of Toil & Trouble, and I first connected on Twitter some time ago. (Isn’t social media great?) 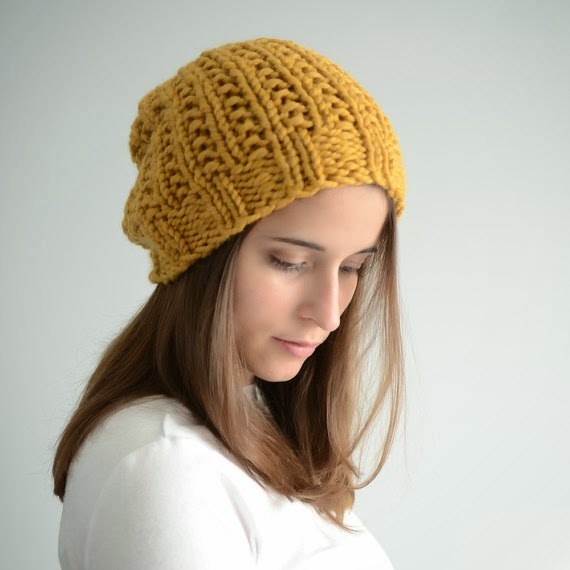 Ana is a self-defined “Geeky Fiberista” who has been inspired by yarn since she was a child. She makes both beautiful hand-knit accessories including hats, scarves, and mittens that are influenced by “literature, mythology, geekery, and [her] general bookish tendencies” (quoted from her Etsy shop), as well as beautiful hand-dyed yarns that make you wish you could reach through your screen and touch them! In addition to running her own handmade business, Ana teaches knitting classes in the Boston area. 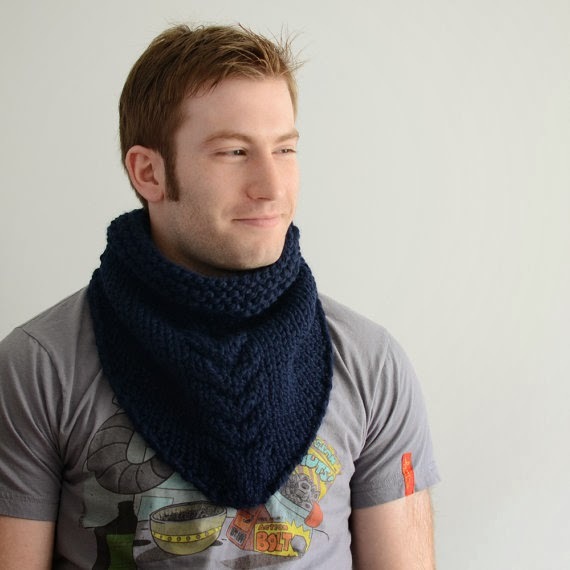 How did you get started knitting and dying yarn? When I was 8 years old, I decided I wanted a lace mesh sweater that was all the rage back then. My mom couldn’t find it in my size, so she taught me to knit and crochet so I could make my own. I never did make that sweater, but I made miniature versions for my dolls. I crocheted and knit on and off for many years, until I got completely addicted to knitting in graduate school. This is when I started my business. 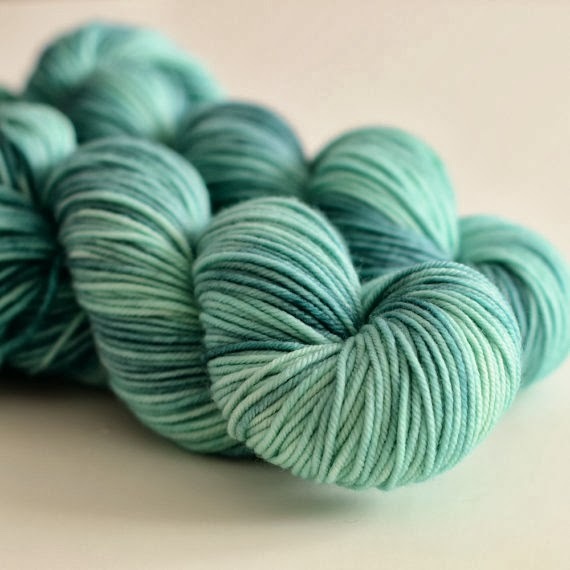 In late 2011, I combined my love of painting and knitting, and started my line of hand-dyed yarns. My business name, Toil & Trouble, comes from Shakespeare’s Macbeth. It comes from my love of stories, though honestly, I chose it on a whim and it stuck. I love the complete creative freedom. I love being able to come up with new designs and color schemes, and knowing the final say is mine. Being my own boss means I get to make my own schedule, define my own priorities, and shape my business in the way that works best for me. But the biggest challenge is that I am in charge of everything. If I don’t do something, there is no one to pick up the slack. There is a constant struggle between working as much as possible, and telling myself that I am allowed to take breaks. I have always had the urge to create. When I was old enough to hold pencils, I fell in love with drawing, and have had affairs with most arts and crafts at some point. I love the process of creating, and I find it so satisfying at the end, when I see something I’ve made with my own hands. I find inspiration everywhere, but mostly from stories. I love books, and my business tagline is “Bookishly Inspired.” I draw a lot of inspiration from literature, mythology, and folklore. I think there are two main elements to the appeal of handmade. The first is connection – it is great to support real people and know that you are buying into their passion. People become invested in the stories of the artisans they support. But beyond that, buying handmade often means being able to buy exactly what you want. Handmade pieces tend to have more character than mass-produced items, and speak to specific niches. And if you can’t find what you want, most makers are happy to take custom requests. There’s something really special about being able to share your vision with an artisan and have it made just for you, even if it’s something as “simple” as a pair of mittens. I have so much love for all the handmade pieces in my life, I don’t think I could pick one! But I did just treat myself to one of Mimi Kirchner’s dolls as a birthday gift to myself. I had been watching Mimi’s work for a couple of years, waiting for the perfect fox doll, and then I saw Mimi post this fox girl. I absolutely love her! When you are not knitting or dying yarn, what do you like to do with your time? Obsessively watch Doctor Who and Game of Thrones, go bouldering, read, and eat great food. I was born and raised in Brazil, and moved around a lot before settling down in Massachusetts with my husband. I have a third-degree black belt in a Korean martial art. Be very clear about your business goals, and write a business plan. You should understand if your goal is to ultimately make a living from your business, or if you’re happy doing it on the side. Quitting your day job doesn’t have to be your goal, but you should be clear on what you’re trying to achieve. Once you figure that out, you can write a business plan and set up metrics to keep yourself on track. Thanks for joining us on my blog, Ana, and be sure to check out her shop! I love these and the idea of sharing with other artists/crafters their passion and work..there is no better way to support their creativity and hard work than by showcasing them like this…if only it would get colder here in my neck of the woods, these would make amazing gifts!! Thank you for stopping by on my SITS day!! “Bookishly Inspired” is the best tagline on earth. I love Doctor Who, quite obsessively. I’m in Massachusetts too – and your knits are making me feel warm. Love the name of the business and how you approach it. 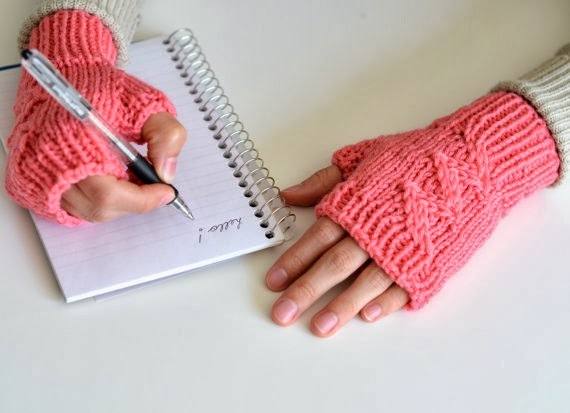 Those fingerless gloves also look perfect for me during winter in my cold office! That’s so cool she dyes her own yarn! I love how Ana started out knitting. Hand dying yarn is so awesome! And I seriously love the fingerless gloves. Ack!! Really?? I feel like I’ve been waiting so long! So close..